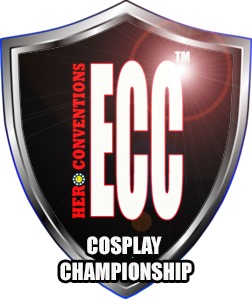 Attendees may attend ECC 2020 in costume. Costumes can be purchased or self-made, but must be in good taste, and suitable to wear in public. Individuals wearing costumes deemed too revealing or immodest may not be permitted access to the show. Hero Conventions maintain final decision on suitability. If your costume is bulky, please observe Health & Safety at all times. Make any edges to your costume blunt, and ensure you are always assisted by a fellow attendee when venturing onto the convention floor. 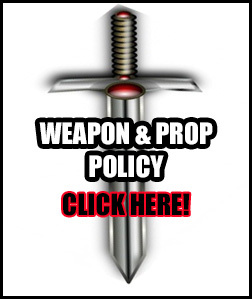 If your costume includes a weapon/prop, please ensure it adheres to our WEAPON/PROP POLICY. If you have any queries please do not hesitate to contact us on enquiries@heroconventions.com. We want you to attend and have fun, so if in doubt, get in touch and we can discuss it with you. Image Copyright Notice: By attending Edinburgh Comic Con 2020, you agree that Hero Conventions and all associates are free to use any images/footage taken during the event for promotional purposes. The Edinburgh Comic Con Cosplay Championship is an Open Competition which will take place over the course of the weekend, with exact times being announced on our EVENTS page at a later date. Participants must hold valid admission tickets. Non-ticket holders are not permitted to enter. Each participant must register their entry in advance. Cosplay entries are required to be characters that are known within published/produced works. Although not limited to, this can include Marvel/DC Superheroes, Aliens, Predator, Warhammer, Star Wars, Star Trek, Doctor Who, Halo, Assassins Creed, 2000AD, Adventure Time, Game of Thrones, etc. Original character costumes are not permitted to enter the competition. Purchased costumes are allowed, but hand made costumes are preferred and will be scored appropriately. Registration: ONLINE ENTRIES WILL OPEN SOON! Entries must be pre-registered before 12pm on 04 April 2020. We strongly recommend you get your entry in quickly, as spaces are STRICTLY LIMITED. You may enter as a group, but prize allocations will remain the same should you place within the top three places. A complete entry form - Simply complete the form details and attach your reference images. The Panel of Judges will be a mix of experienced cosplayers and professional prop builders. Craftsmanship: Costume points will be allocated on the basis of complexity and craftsmanship. Accurancy: How accurate your costume is when compared to your chosen character. Performance: Performance points will be allocated on execution and fidelity to your chosen character. The Edinburgh Comic Con Cosplay Championship will consist of three rounds. 1/ PRE-JUDGING: This will allow the judges to inspect the finer details of your costume. 2/ WALK ON PERFORMANCE): Strike a pose or perform a quick spoken piece. 3/ THE FINAL: The final 3 will be judged for an overall winner. The Hero Conventions Kids Masquerade is a non-placement fun event for the Under 16's, which will take place alongside the adult competition. Although this is still subject to the general cosplay rules for attending the show, you can enter by simply showing up on the day and registering your name to enter*.